This DB9 Volante was commissioned by our Los Gatos dealership for the Menlo Charity Horse Show in Los Gatos. 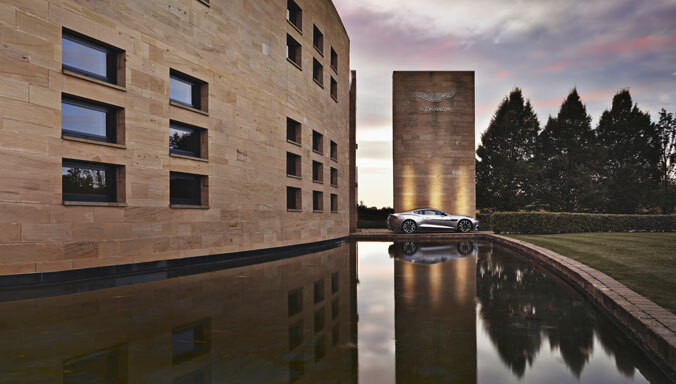 The outstanding result is a, highly-customised DB9 Volante, crafted with the discerning Equestrian lifestyle in mind. 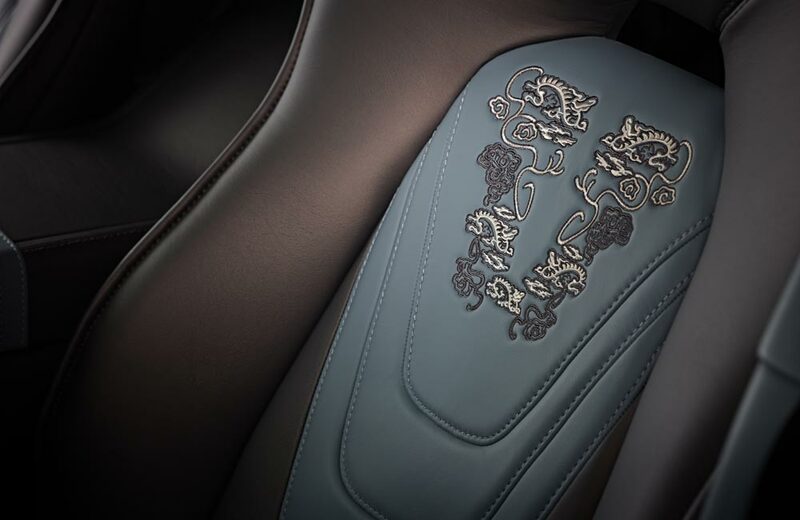 Bathed in an interior of Saddle Tan Luxmill leather from our Q Heritage palette, this is contrasted beautifully with Diamond quilted Ivory Alcantara on the seat inner. Our rich racing heritage provides the basis for this Centenary Mako Blue Vanquish. California Poppy and Pale Blue leather combine to reference the Gulf Racing livery that adorns our GTE cars. The bodywork is given a Centenary style gradiated finish, combining Mako Blue and Silver Fox on bonnet and deck-lid. 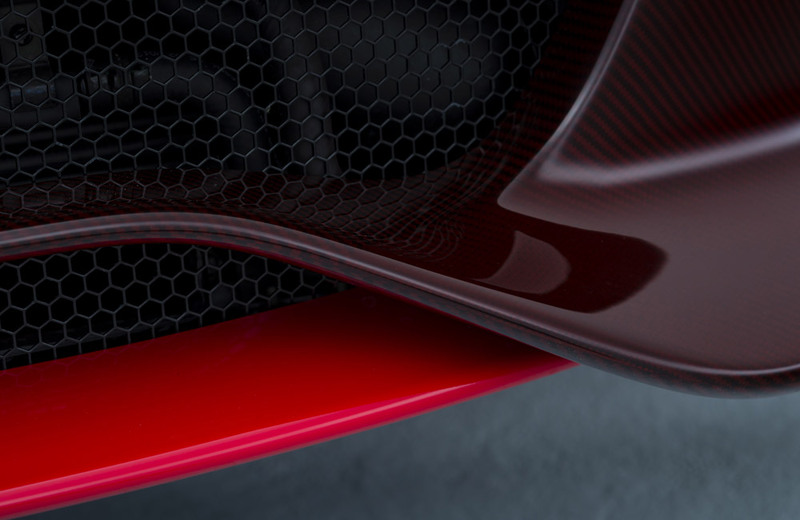 Cobalt Blue Carbon-Fibre is carried through to the facia, where the gradation runs from opaque to a clear weave at the base. This DB9 Volante embodies the calm palette and evocative imagery of the SoCal lifestyle. Developed along a nautical theme, taking the clean lines of a superyacht as inspiration, with Pure White Satin paint and bright metal detailing. The exterior blends seamlessly with the rich White Essence pearl effect semi-aniline and Aurora Blue leather in the interior, evoking the colour of the Pacific coast. 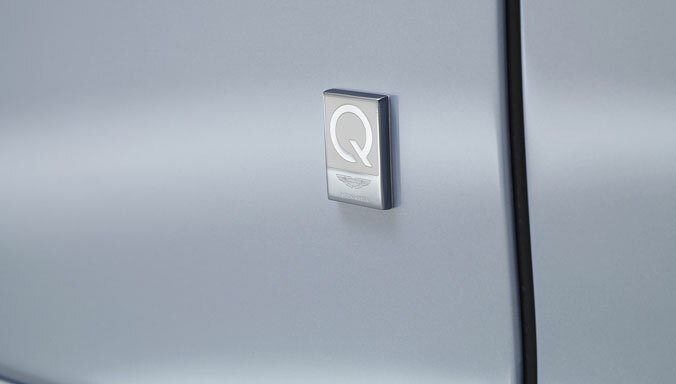 Since its inception in 2012, Q by Aston Martin has been present at all major international motorshows. 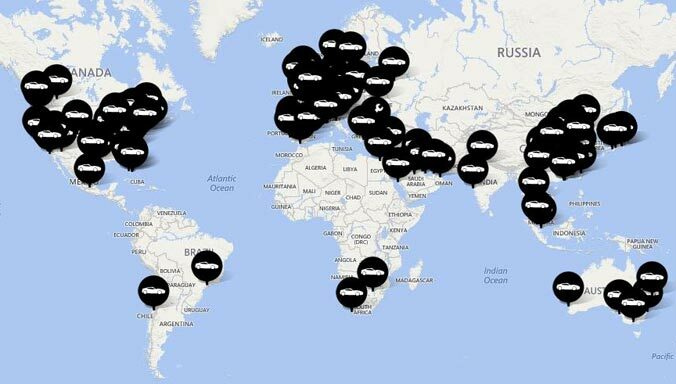 Offering the chance for our Design team to showcase their latest creations outside of a customer brief, these cars represent the very latest concepts, materials and colours being worked on by our designers. 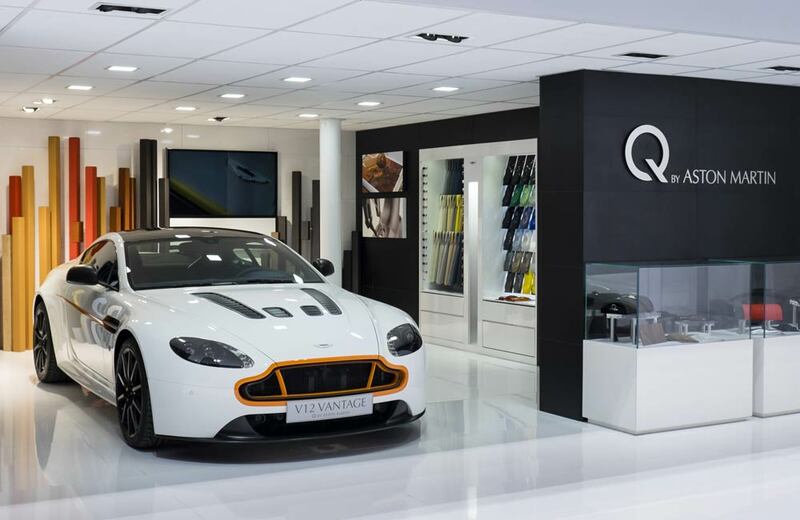 Complementing other cars on display, international motorshows also allow our customers to immerse themselves in the Q by Aston Martin experience and see where the impossible becomes possible. 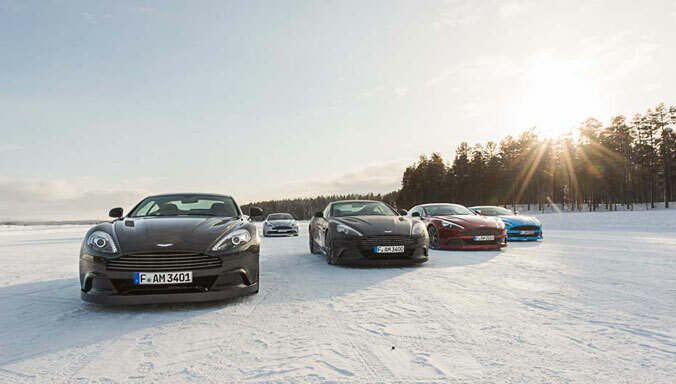 Seven Vanquish coupes were commissioned with carbon fibre-themed personalisation that pushed manufacturing boundaries. 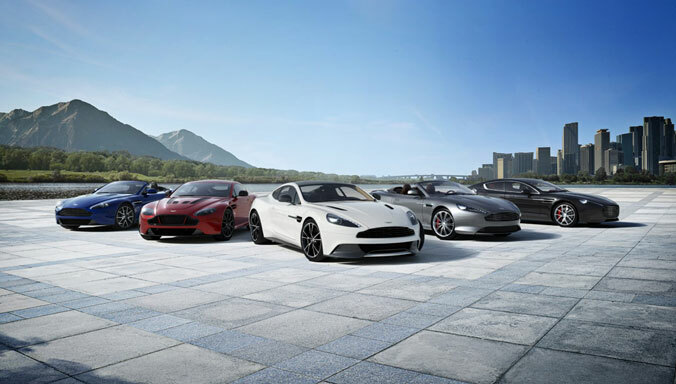 Boasting a broad array of bespoke features including an exclusive exterior finish that sees multiple layers of carbon fibre cleverly interwoven to a perfectly smooth finish – a result that required Aston Martin to develop an entirely new addition to its manufacturing process – the seven Vanquish are sure to become collectors’ items in years to come. 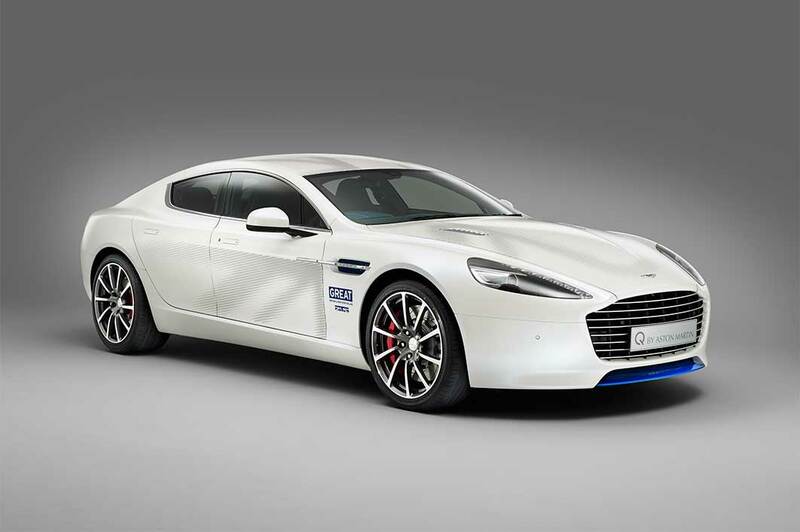 This bespoke Rapide S four-seat, four-door sports car was commissioned by Aston Martin in support of 'Innovation is GREAT' - the latest strand of the GREAT Britain international marketing campaign. Showcasing design, innovation and heritage with a twist, this unique GREAT-themed creation incorporates the GREAT logo on the inside stitching and metal sill-plaques. 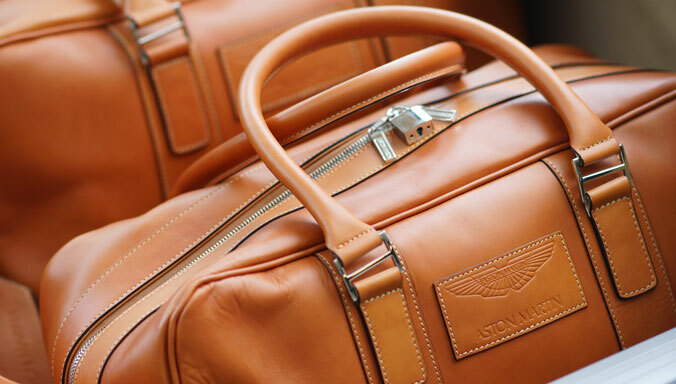 The car is accompanied by an exclusive selection of additional Q by Aston Martin items, including an exquisite Tustings leather luggage set. 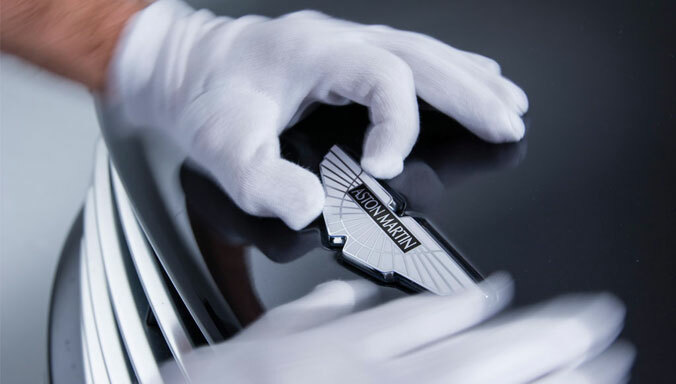 One of six unique cars to be built to mark Aston Martin Works' 60th anniversary in 2015, each bespoke Vanquish is tailored to reflect one of the six decades being celebrated. 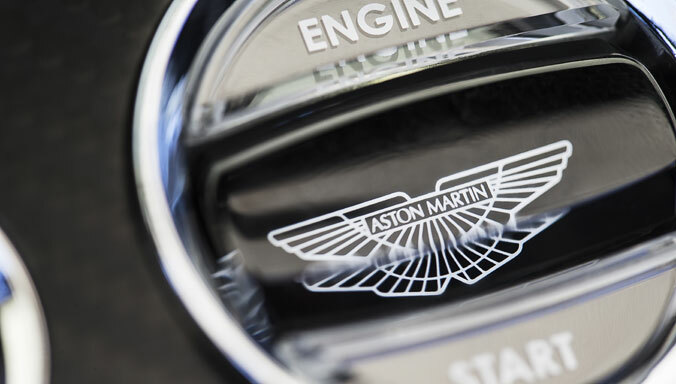 Perhaps the most emotive part comes in the form of a fine detail: bespoke rotaries around the major controls in the centre console of each Vanquish. 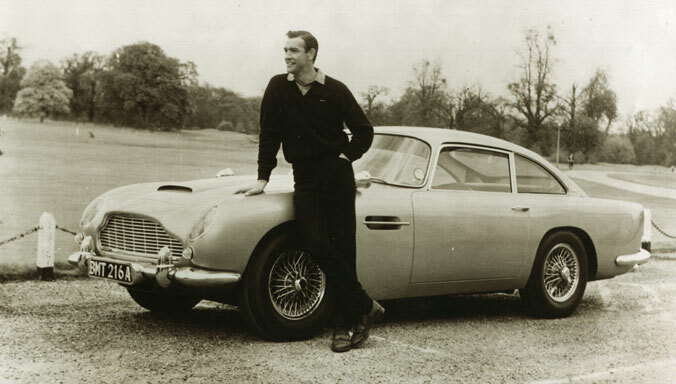 Each rotary has been cast from metal that previously had formed a piston in an Aston Martin engine of the relevant period. These rotaries are then carefully laser etched with Works’ Anniversary wording. Created with two guiding principles, elegance and purity, this DB9 Volante was commissioned by official dealer Aston Martin Dallas. Challenged to use only white and blue on both exterior and interior, our design team have created a specification which stays true to DB9's timeless elegance but offers a new level of visual distinction. Morning Frost paint, and Pearl White leather are combined with blue satin carbon fibre exterior detailing and Cobalt and Spectral Blue interior features. 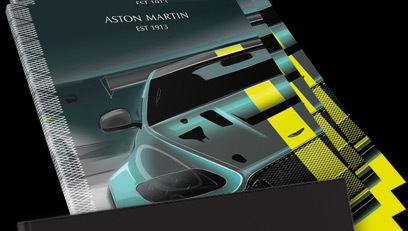 Finessed details include a Cobalt Blue gradated facia, Spectral Blue leather trimmed air vents and polished 'tuning fork' wheel unique to Q by Aston Martin. Displayed at the 2014 Geneva Motor Show, this Vanquish Volante includes a raft of detail changes to everything from interior trim to bespoke Q by Aston Martin badging. Polished brake calipers blend with an exposed carbon fibre tonneau cover – finished in a deep gloss – a feature nodding to the Vanquish’s entire carbon-fibre bodyshell. Inside, the seats are bathed in luxurious White Essence leather with classic Cream Truffle stitching; contrasting with the rich Aurora Blue leather detailing and the satin finish walnut veneer centre stack. 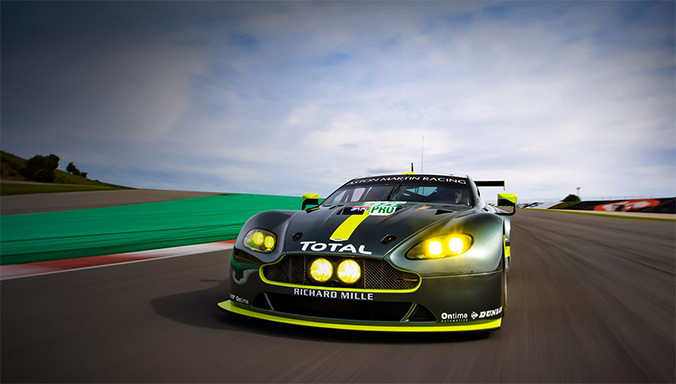 CC100 is perhaps the ultimate Q by Aston Martin car. Created to celebrate Aston Martin’s Centenary, this radical speedster embodies both a proud past and an exciting future. The CC100 references the classic 1959 DBR1, yet also looks forward to future Aston Martins through its complex shapes and surfaces. The CC100 exemplifies the creative capabilities of Aston Martin’s design and engineering team, showcasing the flexibility of our production platform and our ability to realise the most demanding of creative briefs.